Sirota is a "racer" someone who uses race as the political excuse for just about everything, and takes it to an extent which goes beyond any sense of reality. To talk more about that, let's bring in syndicated columnist David Sirota and David Frum, the editor of newmajority.com and former speech writer for the Bush White House. David Sirota, let's start with you, because you wrote quite a scathing column that appeared on the newleft.org and as well on the HuffingtonPost.com, saying you're absolutely outraged by the way the White House handled this. DAVID SIROTA, SYNDICATED COLUMNIST: Van Jones is a national hero for his work on green jobs. He's known as an expert on energy policy, on economic policy. He's somebody who made a mistake, who acknowledged that he made a mistake a long time ago, and he was tossed out by this White House. And I think what we can learn from what happened is what this White House values and what this White House doesn't value. The White House stuck by Tim Geithner as Tim Geithner was involved, the treasury secretary, in a tax scandal. He's accepted gifts from the banking industry. The White House stood by him. The White House has stood by other people, like Ben Bernanke, who has really been at the heart of our economic problems. And they're basically putting Van Jones out to pasture because of something Van Jones said was a mistake. And what I think what's going on here is that the White House is listening to the right-wing's political terrorists, people like Glenn Beck, people like conservative activists who have targeted Van Jones because Van Jones is an African-American with a progressive movement background working on behalf of social justice. That's something, unfortunately, that is apparently, according to the right-wing, not allowed in this country. Oh I get it a bunch of racists lead by a terrorist racist. That doesn't fly, all Beck did is show people what Jones said, uncut in all of its splendor. As far as the terrorism charge, the only terrorist I have ever seen on Beck's show have been pictures of the POTUS' buddy, Bill Ayers. Sirota's next move was to back up Van Jones' Lie about not knowing what he was signing (even though the petition's organizers have said that Jones is lying). SIROTA: Well, John, look, he said it was a mistake. And, you know, I think his name was lent to something that he clearly wasn't fully aware of. He said it was a mistake. I don't think anybody -- nobody's debating whether he said it was a mistake or not. Sirota starts to lose it and resorts to the progressive version of " OH YEAH?" ...BUSH BUSH BUSH BUSH..
You have an economic team that has conflicts of interest with the financial industry that it's regulating. Nobody has said a thing about this. That didn't work so Sirota goes back to the Race card. Van Jones was not targeted because he was an African American. Van Jones was targeted because he is just a few fries short of a happy meal. For God's sake, the 9/11 truther petition wasn't his only nutty stance, how about the one where he said white environmentalists where dumping waste in rivers to pollute African American towns. Sure he wrote a book and went to Yale, but Van Jones has a very tentative hold on reality and judging by his comments this morning, David Sirota's grasp may be just as tentative. I am sick of Obama and hid minions playing the race card. 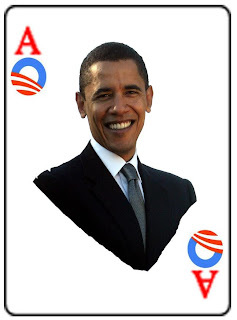 If Obama had two black parents whose ancestry included the middle passage, it would be wrong to play the race card. However , considering the fact that he was raised by his uber-aryan mother and his absentee father was from the other side of africa having a different genetic and historical background than American blacks, it's chutzpadik that obama can play the races card. He is more aryan the the average Yid!!!!! HuffPost is not making any sense. If Van Jones was targeted because he's black, then they are suggesting that he was really FIRED! Who do they think forced Jones to resign? He was kicked to the curb just like Jeremiah Wright because his racially charge rants went viral on the internet. Obama (a so-called black) was the one who hired him & the one who Fired him!